The Center for Popular Democracy/CPD Action (CPD/CPDA) promotes equity, opportunity, and a dynamic democracy in partnership with innovative base-building organizations, organizing networks and alliances, and progressive unions across the country. We currently work with more than 53 affiliates and partners across 131 cities in 34 states, Puerto Rico, and Washington, DC. and build the strength and capacity of democratic organizations to envision and advance a pro-worker, pro-immigrant, racial and economic justice agenda. CPD is a rapidly-expanding, changing organization that partners with organizations across the country to build political power and win tangible victories that improve the lives of low-wage workers, immigrants, and communities of color. 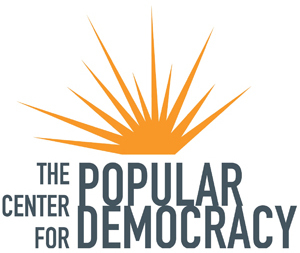 The Center for Popular Democracy/CPD Action (CPD/CPDA) is seeking an experienced organizer to lead and supervise a seasoned team in increasing our network’s capacity in the field by helping our affiliates build strong organizing programs and practices, and robust dues-paying canvasses. The Director of Field Organizing will work as part of our Base-building Team, and report to that team’s Director and staff, to support our Network’s overall capacity-building and growth objectives, and working intensively with a subset of our affiliates to strengthen their committee organizing structures, leadership development methodology, and organizer training, accountability and supervision practices. Additionally, the position will support and supervise the Sustainability Program at CPD, which currently works alongside seven of our affiliates to build standing outreach canvasses to build their dues-paying membership, and seeks to grow that number as well as to develop centralized canvassing capacity to support our network’s work overall. The Director of Field Organizing will also work with staff across CPD and with affiliates across our network to fulfill a key objective of our five-year strategic vision: engaging 1 million new active members of our base. Supervise and support our Director of Organizing and our Director of Sustainability, as well as the five staff members who report to them. Ensure the growth, stability, and quality of our Field Organizing programs, including ensuring adequate funding for these programs. Overseeing fundraising, financial modeling and budgeting for the Sustainability program to ensure it becomes financially sustainable over time, as well as negotiating and carrying out joint fundraising for these programs with our affiliates. Co-lead the documentation, evaluation, and dissemination of information about these programs and their centrality to building sustainable and authentic people’s organizations, in collaboration with the Director of Base-building, the Director of Organizing, and the Director of Sustainability, to build field understanding of this work and support it’s widespread dissemination. Convene and help to lead conversations across CPD staff and affiliates about best practices in organizing, base-building and dues-paying membership growth. The salary range for this senior-level position is competitive and commensurate with experience. We have a generous benefits package. CPD/A is an Equal Employment Opportunity employer and actively recruits people of color, women, individuals with disabilities and members of the LGBTQ community.